Looking for Quality Biomass Briquettes? Take EAI’s Expert Guidance to Buy the Best! As the world moves to carbon-neutral energy, the share of biomass in the energy consumption has been increasing after going down for more than a century. Biomass briquettes make the main component in an industrial plant utilizing them for its heating/power requirements. It is hence critical that the briquettes are procured from the right vendor at the best possible quality. EAI can get this information for you. Various online B2B trading websites list biomass briquette manufacturers containing information only on very few parameters of the briquettes, mostly overall cost and GCV. However, that is insufficient to determine the right briquette. Poor quality biomass briquettes could result in lowering of overall plant efficiency and also cause corrosion of boiler components. Just imagine the cost of equipment replacements/repairs you incur, over a period of time, if you choose poor quality biomass briquettes. How to Ensure You are Buying High Quality Biomass Briquettes? Ensuring that you are purchasing right biomass briquettes can indeed be quite challenging, if you are not an expert in the field. There is a simple and effective method for any non-experts to ensure quality of the biomass briquettes – buy it from the right vendor! Choosing the right vendor needs assessment of factors such as production capacity, diversity of biomass used to produce the feedstock (an indicator of flexibility), commitment to briquette manufacturing, distance from the eventual facility that will use the briquette, and number of clients with which the vendor has established a prominent relationship. One of the best ways to ensure that you get the right quality biomass briquette is to choose the right vendor, a vendor who has invested in quality, has a high level of transparency and professionalism, and is committed to long term relationships with clients. EAI can be of invaluable assistance to you in selecting the optimal vendor for supplying biomass briquettes. Over the last decade, we have interacted extensively with biomass briquette manufacturers in the country and have an exceptional understanding of the biomass briquettes. Our interactions with these vendors have been in all the key dimensions – technical, strategic, operational and marketing. During this period, based on our work, we have identified select biomass briquette vendors who are the top of the heap when it comes to the key parameters – quality, reliability and flexibility. 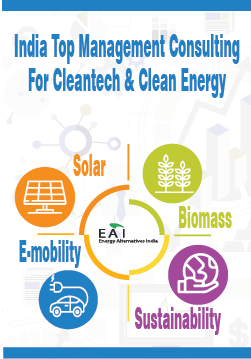 So: If you are looking for high quality biomass briquette manufacturers from India who can be a reliable long term partner for your biomass sourcing requirements, talk to us at EAI. Read on to find all the basics of biomass briquetting. Biomass densification through briquetting: The what? Biomass is the organic material of recently living plants from trees, grasses and agricultural crops. Unlike fossil fuels which are main driving force behind climate change, biomass can be a be a source of renewable and carbon-neutral energy. It has become an important source of energy to meet the international emission reduction goals, along with other renewable energy technologies. It is the third largest energy resource in the world, behind coal and oil. Biomass was the first source of energy that mankind learned to use. Right until the mid-19th century, biomass dominated global energy consumption. Once coal began finding major use as a source of heat and electricity, the share of biomass reduced. Recently, the share of bioenergy is gradually increasing . In 2012, the total bioenergy supply was over 51 EJ, comprising some 10% of the total world’s energy supply. An estimated 50% of this biomass energy, in the form of fuel wood or charcoal, is consumed in developing countries for heating and cooking with a very low efficiency (reference in 4), some 10-20%, while modern biomass use for electricity production currently supplies 1.5% of the electricity demand on a global scale, corresponding to about 280 TWh of electricity . Today’s overall efficiency of biomass-based combined heat and power (CHP) plants for industry or district heating ranges from 70%-90% (reference in 4). The least-expensive biomass resources are the wood residues/waste from forestry and industry, and agricultural residues, but also their supply is limited, e.g., wood residues is also used for heat production in paper and pulp industry . To overcome this limitation, countries around the world are considering biomass crops for energy purposes (called energy plantations) and have begun developing technologies to use biomass more efficiently. Most countries have now adopted the practice of energy plantations. According to a World Energy Council report from 2005, Brazil at that point was using 3 million ha of eucalyptus plantations for charcoal making; China had a plantation program of raising 13.5 million ha of fuel wood by 2010; and Sweden was using about 16,000 ha of willow plantations for heat and power generation. Till 1992, an area of 17,000 ha had been brought under energy plantations in India. One of the major limitations of biomass for energy purposes is its low bulk density, typically ranging from 80–100 kg/m3 for agricultural straws and grasses and 150-200 kg/m3 for woody biomass, like wood chips. The low bulk densities of biomass often make the material costly to store, transport, and use. Low bulk density also presents challenges for technologies such as coal cofiring, because the bulk density difference causes difficulties in feeding the fuel into the boiler and reduces burning efficiencies. Further, high moisture content in the biomass makes transportation and storage inefficient. Densification is used to overcome these limitations. During densification, biomass is mechanically compressed, increasing its density about ten fold. Commercially, briquetting is a commonly used methods for densification; another common method is pelleting. There are different densification technologies, including pellet mills, screw press, piston press, and roller press . In the biomass briquetting process, the material is compressed under high pressure and temperature. The biomass particles self-bond to form a briquette due to thermoplastic flow. Lignin (it is one of the main constituents of biomass; the other important constituents are cellulose and hemicellulose), which is a natural binder, is made available from high temperatures and pressures resulting in the formation of high-density briquettes. The dense briquette is a clean fuel that can be used in boilers (to generate steam for power generation), furnances (to heat a feed), or open fires. Biomass briquettes helps in the following way: ease of charging the furnace, increased calorific value, improved combustion characteristics, reduced entrained particulate emissions, and uniform size and shape. In addition, furnaces that use other solid fuels can use briquettes also. One main disadvantage of using biomass briquettes (or pellets) in industrial furnaces or boilers over other solid fuels is ash slagging due to the alkali content in briquettes made from biomass. Comparision with pelleting: Briquette processing is more efficient than pelleting because the biomass materials do not necessarily have to be preprocessed or uniformly ground up, which results in less preparation. Another advantage of briquetting is it can be set onsite. Briquetting waste byproducts and reusing them onsite for energy rather than transporting them to another location or to a landfill can save on disposal costs. Briquetting generally uses less horsepower. From the investment point of view, the purchase capital and maintenance costs to make briquettes are less than for pellets. Pellets have been considered more of a residential fuel even though they are used in some larger, commercial applications. If transportation is one of the main criteria, pellets are more advantageous because there are more pounds per foot than briquettes. This is especially true if the briquettes are larger because it allows for more air between them when they are stacked. Briquetting is carried out using a screw press or a piston press. (Screw press is also used for pelleting.) It is widely accepted that briquettes from a screw press are have far more superior combustion and storage qualities than briquettes from a piston press . In screw compaction (or screw extrusion), the material is taken in from the feed port, moves through a barrel with the help of a rotating screw, and is finally extruded against a die, which builds a large pressure gradient along with screw. The die can be tapered, which further compacts the biomass. Along with high pressure, frictional effects increase the temperature of the biomass. The die is also usually heated externally for making the biomass pseudo-plastic for smooth extrusion. As the biomass enters through the feed section, and is compacted a little. In the compression zone, formed by a tapering barrel, friction at the barrel wall and between the particles of the biomass, along with a high rotational speed (~ 600 rpm), causes the temperature to increase to 200–250 °C. The high temperature and pressure softens the biomass turning it plastic, The particles get pressed against each increasing the intermolecular forces. In this respect, lignin plays an important role by acting as a natural binder. At elevated temperatures (>140 °C) and pressure, lignin melts and forms solid bridges between particles. as Finally, in the tapered die, temperature further increases to 280 °C. Steam gets removed and further compaction takes place. Pressure is transmitted uniformly through the biomass create a uniformly dense briquette. Continuous output, uniform briquettes, concentric hole formed in the briquette helps in better compaction because of air circulation during combustion, machine runs smoothly without shock load, machine parts and oil are free of raw material compaction, and the outer surface of briquette is partially carbonized (which facilitates ignition and combustion, and also protects briquettes from ambient temperature). Compared to the piston press (which is discussed below), the briquette quality and production process of a screw press. Power requirements are high compared to piston press. Also, screw press parts, like the ram and die, require more maintenance compared to the piston press. Apart from screw extrusion, a birquette press is a viable and attractive solution. As already mentioned, it has lower power requirement. Unlike pellet mills (which are used for pelletization), it can handle larger-sized particles and wider moisture contents without the addition of binders. Hydraulic or mechanical presses are usually used. The briquettes’ densities generally range from 900 to 1300 kg/m3. Mechanical piston presses are typically used for large-scale production, ranging from 200 to 2,500 kg/hr. The mechanical press is designed as an eccentric press. A continuously rotating eccentric, connected to a plunger, presses the raw material through a conic die. In mechanical presses, the counter pressure required can only be adjusted by mounting a die with a different conicity. The mechanical press is driven by electric motors instead of a hydraulic motor. Energy loss in the machine is limited, and the output in relation to power consumption is optimal. The operating life of a mechanical press is considerably longer than hydraulic presses. Generally, a mechanical press gives a better return on investment than a hydraulic press. Hydraulic piston presses are commonly used as briquetting machines for densification of biomass. The energy to the piston is transmitted from an electric motor via a high-pressure hydraulic system. The output of a hydraulic press is lower, since the movement of the cylinder is slower compared to mechanical processes. The briquettes have a bulk density lower than 1000 kg/m³ because pressure is limited to 40–135 kg/h. However, these machines can tolerate higher moisture contents than the usually accepted 15% for mechanical piston presses (www.cfnielsen.com). To improve the production capacity, some continuous briquetting presses are available commercially. Before in the coming sections, we take a look at all the different factors involved in the biomass supply chain that includes briquetting, it is first worth noting what are different power generation technologies using biomass. Power generation from biomass can be achieved with a wide range of feedstocks and power generation technologies that may or may not include an intermediate conversion process (e.g. gasification). In addition, different feedstocks and technologies are limited or more suited to different scales of application, further complicating the picture. Bioenergy can be converted into power through thermal-chemical processes (i.e. combustion, gasification and pyrolysis) or bio-chemical processes like anaerobic digestion. Thermo-chemical processes include combustion, gasification and pyrolysis. Solid fuel combustion is a commercially proven technology with a wide range of technology suppliers. Gasfification on the other hand has only very recently started being deployed at commercial scale. It can be applied on a wide range of scales from a few MW to 100 MW or more and is the most common form of biomass power generation. In fact around the globe , more than 90% of the of the biomass that is used for energy purpose goes through this route. Feedstock availability and costs have a strong influence on project size and economics, since with increasing scale the increased transport costs for the biomass feedstock may outweigh economies of scale from larger plants. However, this is also very project-specific . There are two main components of a combustion-based biomass plant: 1) the biomass-fired boiler that produces steam; and 2) the steam turbine, which is then used to generate electricity. The two most common forms of boilers are stoker and fluidised bed. These can be fuelled entirely by biomass or can be co-fired with a combination of biomass and coal or other solid fuels. Stoker boilers burns the fuel on a grate generating hot flue gases that is then used to produce steam. Fluidized bed boilers suspends fuels on upward blowing jets of air during combustion. Fluidized bed boilers can be a more effective way to generate electricity from biomass with a higher moisture content than typical in a stoker boiler. The quality and sustainability of the biomass feedstock is critical to a biomass power generation project’s economics and success. Biomass feedstocks are very heterogeneous (which can become a problem if the combustion technology requires a homogeneous feedstock) and the chemical composition is highly dependant on the plant species. Understanding some of the major chemical compositional changes that take place during processing of biomass is useful in understanding what process variables, like temperature, pressure, die geometry, and mechanisms of densification, are suitable. Changes in these variables will bring about significant changes in the chemical compositions of the biomass by mechanisms known as interaction reactions, which determines quality parameters, such as moisture content, bulk density, and durability of densified biomass. Some of chemical constituents of importance are like starch, cellulose, hemicellulose, fat, and lipid. Some crucial factors for the biomass feedstock are: energy, ash and moisture content, and homogeneity. These will have an impact on the cost of biomass feedstock per unit of energy, transportation, pre-treatment and storage costs. These are discussed next. Compared to pelleting, briquetting requires larger particle sizes. Particle size greater than 6 mm are suitable as it leads to interlocking of particles and creates more durable briquettes . A screw press employs higher pressure and can handle larger particle size, but sizes much larger than 6 mm will clog the press at the entry point as large particles accumulate near the feeder and jam the barrel . Moisture plays a critical role in biomass densification. An optimum moisture content can decide the success or failure of the densification of biomass. Moisture improves the bonding between particles by increasing the van der Waals’ force (reference in 2). Further, the high temperatures and pressure achieved during briquetting along with the moisture increases lignin melting, helping to improve the binding characteristics. However, at higher than optimum moisture content will produce briquettes which are weak and poor, and the briquetting operation is erratic. Excess steam gets produced leading to the blockage of incoming feed from the hopper, and sometimes briquettes shoot out from the die . Reference 4 states that for a piston press, the optimum moisture content is 10-15%, whereas for a scree press, it is 8-9%. An important consideration for feedstocks is the ash content, as ash can form deposits inside the combustion chamber, called “slagging” and “fouling”, which can impair performance and increase maintenance costs. Slagging occurs in the boiler sections that are directly exposed to flame irradiation. Slagging deposits consist of an inner powdery layer followed by deposits of silicate and alkali compounds. Fouling deposits form in the convective parts of the boiler, mainly due to condensation of volatile compounds that have been vaporised in previous boiler sections and are loosely bonded. Slagging and fouling can be minimised by keeping the combustion temperature low enough to prevent the ash from fusing. Alternately, high-temperature combustion could be designed to encourage the formation of clinkers (hardened ash), which could then be more easily disposed of. Grasses, bark and field crop residues typically have higher amounts of ash than wood. Compared to other biomass, rice husk has notably high ash content (silica), 20%, and it needs special combustion systems for ash removal. Particle size is an important parameter that influences durability. Finer particles accept more moisture and, therefore, undergo a higher degree of preconditioning. Preheating or steam conditioning of the feed normally increases the activity of inherent binders like starch. Medium or fine-ground materials are desirable for densification because, at these sizes, they have greater surface area for moisture addition during steam conditioning, which results in increased starch gelatinization and better binding. A certain percentage of fine to medium particles maybe required for better densification. Absence of coarse particles in the feed or biomass mix will significantly affect the production efficiency of commercial pellet mills. There is a critical particle size below which the pelletization is not commercially feasible in terms of technical ability and economics of pellet production. Quality attributes of the densified biomass play a major role in the end-user applications, that is combustion etc.. The quality of the densified biomass depends upon the feedstock composition, which includes starch, protein, fiber, fat, lignin, and extractives; feed moisture content; feed particle size and distribution; feed conditioning, temperature/preheating of feed; and densification equipment variables (the pressure, temperature, and die geometry and speed). All these will significantly affect the strength and durability of the densified products. The quality will determine whether the densified biomass can withstand the compressive, impact, and water resistance during storage and transportation. The final moisture content of the pellets or briquettes from biomass is greatly dependent on process conditions like initial moisture content, temperature, and pressure. Higher moisture content in the final product results when the initial moisture content is greater than 15%. According to one observation , moisture content of >15% and pressure >15 MPa has a negative effect on the final briquette quality as cracks were observed. Low moisture content will also lead to revenue loss to the manufacturer as the densified biomass becomes fragile, creating more fines during storage and transportation. One study  that researched the compaction of tree bark, sawmill waste, wood shavings, alfalfa hay, fresh alfalfa, and grass in a piston press found that an optimum moisture content of approximately 8% was recommended to produce high-density briquettes. It also recommended a moisture content range of 5–12%. Briquettes with higher unit and bulk density are preferred as fuel because of their high energy content per unit volume, important from the point of view of storage and transportation, and slow burning property. These parameters are greatly influenced by the feedstock’s moisture content and particle size, and the process pressure and temperature. Densification under suboptimal conditions (e.g., at lower temperature, lower moisture content, and with less desirable chemical compositions, or with insufficient die size and roller speed) will result in more fines in the final product. Fines are generated during transportation and storage by the breakdown of the densified product. Their presence is not desirable, especially when cofiring with other fossils fuels in the boiler. Also, once they cross the storage threshold value in silos, they can can aggravate dust explosion and spontaneous combustion problems. The durability index is a quality parameter defined as the ability of densified materials to remain intact when handled during storage and transportation. Durability or abrasive-resistance measurements help to simulate either mechanical or pneumatic handling forces, and control the feed quality. Different types of equipment (Holmen tester, tumbling can, Ligno tester, and Dural tester) are used to test durability. Consideration of the life cycle from a biomass source to briquetting to an industrial end user (boiler or furnace) clarifies the various components of cost in using biomass as an energy source. The first component of the cost for an end user is the price of buying biomass from the source (rural or urban). In some cases, biomass is an opportunity for waste disposal, so there is no cost added at this stage. Another component of the cost the process of briquetting (along with any preprocessing) itself. Transport, both from biomass source to the briquette manufacturer and from there to the industrial end user, adds a significant amount to the briquette cost for the end user. 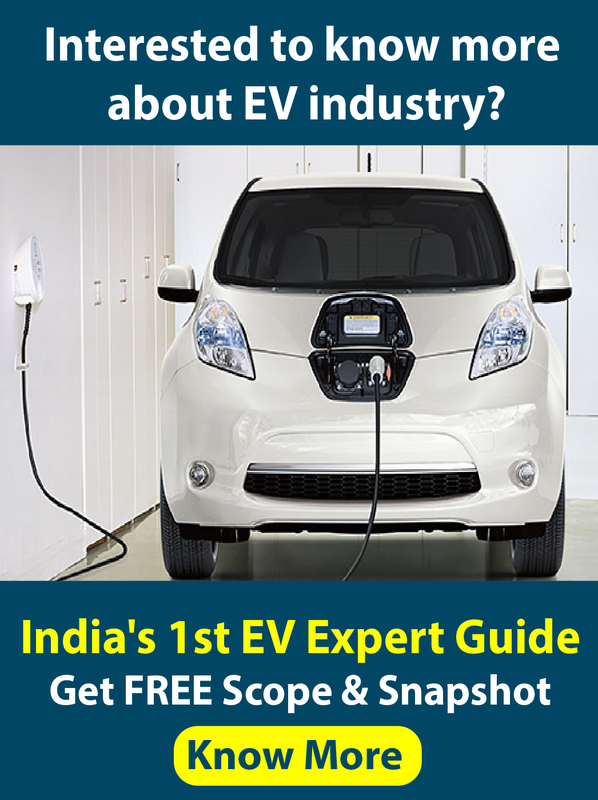 To take transport costs properly into consideration, it is therefore not just important to consider the price of briquettes on a mass basis (when comparing different manufacturers), but also the price on a energy basis (that is, Rupees per unit of energy). Hence the Gross Calorific Value (GCV) of the briquette and the transportation distance can make or break the business case for using briquettes from a particular manufacturer. As explained above, moisture content in the briquette is an important factor that determines the energy density. In India, a distance of more than 100-150 km becomes unreasonable. Tumuluru et al. 2011. A review of biomass densification systems to develop uniform feedstock commodities for bioenergy application. Biofuels, Bioprod. Bioref. 5:683–707 (2011). IEA. January 2007. IEA Energy Technology Essentials: Biomass for Power Generation and CHP. Grove, P.D. and Mishra, S.K. 1996. Biomass Briquetting: Technology and Practices, Food and Agricultural Organization of the United Nations, Bangkok, April 1996. IEA-ETSAP and IRENA. 2015. Biomass for Heat and Power: Technology Brief.